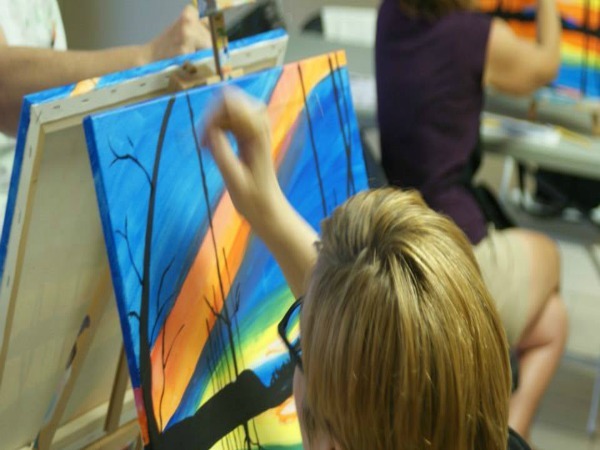 I went to a paint class a few weeks ago where the instructor guided us through step-by-step to get the painting you see below. The coolest part was that all of the paintings were similar, but different. Even with step-by-step instructions, we all see things uniquely. I love that. It's amazing how we all see the world in our own special way. The individual-ness of humankind will never cease to amaze me. 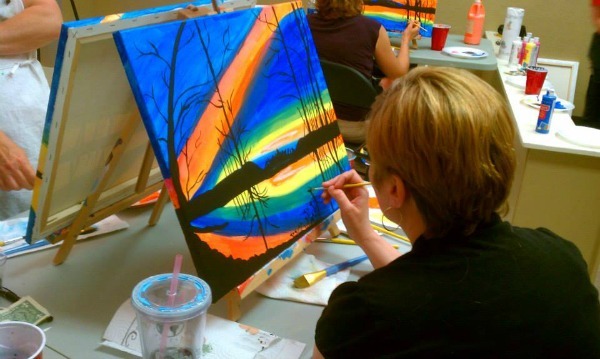 Have you ever been to a paint class? This was my first! Love this Catherine. 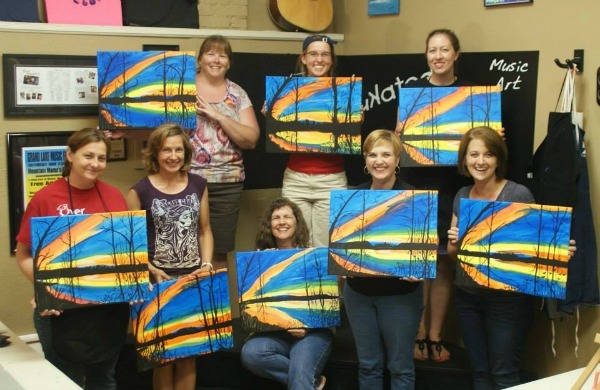 All the smiles and cheerful paintings just make you feel good. There is a place similar here in Wichita. I think it's called Paint the Town and I always love seeing their pictures on facebook. Thank you, Jen. It was so fun.